Red onions are generalized as pyaj in Nepal. 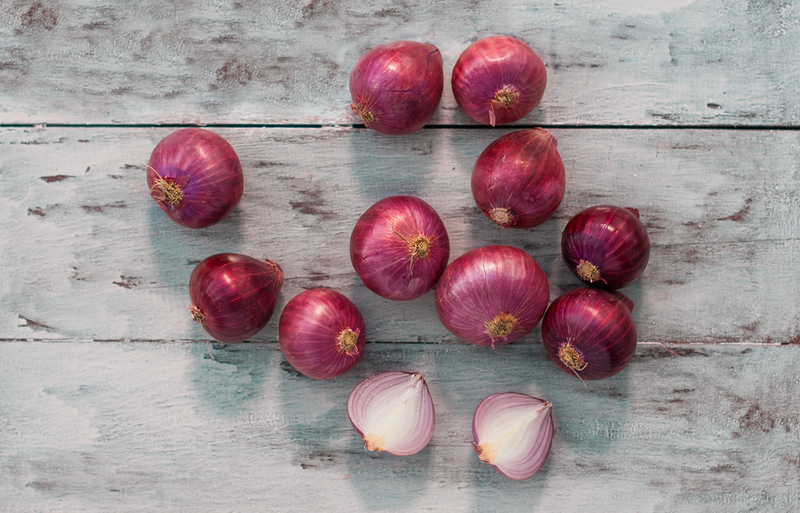 Though there are many types of onions, only red onions are grown popularly. Pyaj is round in shape sized from a golf ball to a little bigger than a tennis ball. They have a red and purplish color which are beautifully layered into white skin. It tastes spicy when raw but sweet when cooked. When combined with other vegetables or meat, it transforms into the aromatic experience and enhances the flavor and taste. The importance of onion in Nepalese cuisine is very essential as they are used in the everyday kitchen in almost all the household. It is cooked initially in prior to addition of most of the vegetables and meat cooking. Pyaj is also a necessary garnish in some famous dishes like Sekuwa [stir-fried meat], Bhuteko Chana [fried bengal gram], Usineko Chana [boiled bengal gram etc. Hariyo pyaj [spring onions or scallions] are known for cooking with fried rice, chowmein, gundruk [dried fermented greens], kinema [fermented soybeans] and many more. Nepali popular green salad in incomplete without sliced onions. An Indian authentic dish Pyaj ko Pakoda [battter-fried onions] is a very famous food sold in Nepalese restaurants and streets. They are crunchy, sweet and spicy snack served in parties. Red onions are grown all throughout the year in Nepal. Thinking about onion two things come in our mind, bad breath and tears. But onion holds the capacity to fight against some diseases. – It helps reduce cancer risk when cooked together with turmeric. – Chewing raw onions for few minutes daily helps prevent tooth decay and maintains our tooth health. – High intake of onions prevents from heart disease and diabetes.